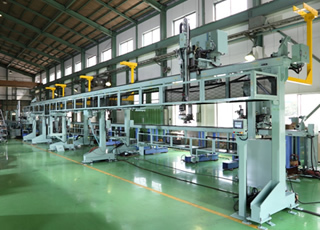 Automated parts transfer and loading system; Konsei offers wide range of overhead gantry loader that is capable of automated material handling. Some of the feature including wireless gantry that allows no damage to its cables, and other moving components of the carriage. Konsei also offers loaders that are capable of handling heavy work piece such as engine blocks and crankshafts. 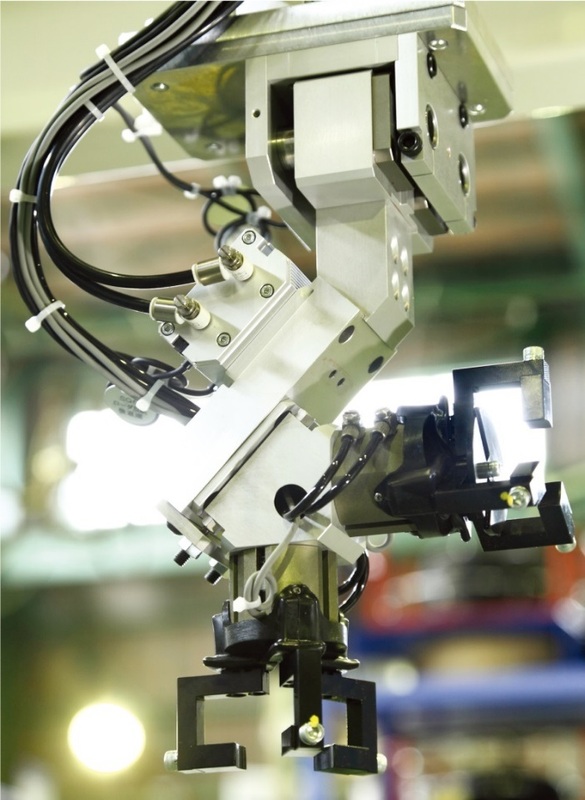 Konsei’s automated robotic system allows precise and efficient material handling that enables shorter loading/unloading time and handling time between machine to next machine. 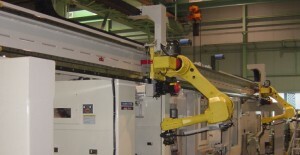 Overhead gantry robots can access complex work holding fixtures with its 6-axis arm robot. It is especially useful then the part shape is odd or difficult to load/unload to machine. Konsei’s conveyor systems are made to handle any material and can work with other peripheral equipment to accomplish total automation of the production line. Konsei’s rich background for their material handling system is used even in food industries. Please ask us for clean room applications, explosion proof applications for painting, and any other applications that are unique to its part! Automated inspection and measuring systems are capable of measuring I/D, O/D height, width, thickness of workpiece in the production line. 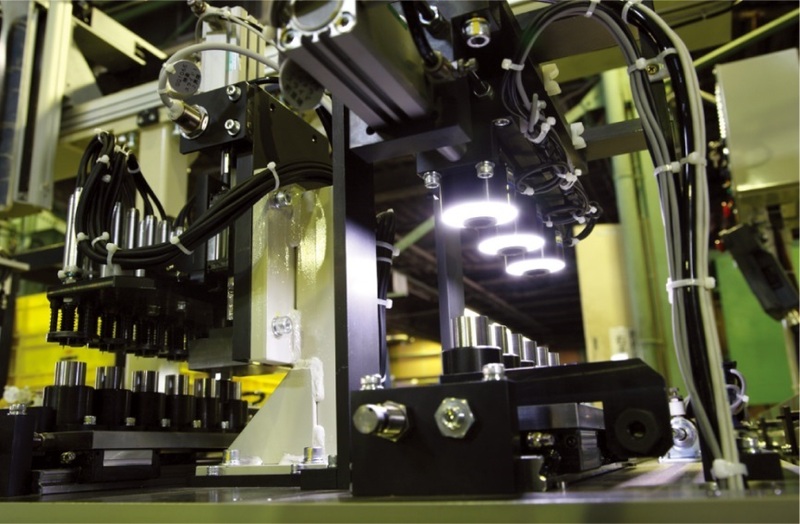 Konsei can work with customer-supplied-in-line-gauges and other inspection gauges to accomplish total automation of the production line. Some can measure dimension with electric micrometer. They are also capable of automatic compensation/ feedback. 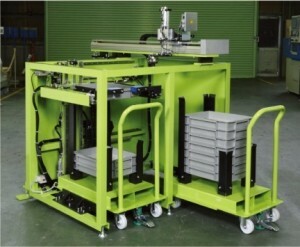 Vision systems are usually used for inspection of the part in production line. It looks at the shape of the parts created by the LED, and checks for any defects of the part (missing bolts, un-machined part, color differences). From cart type to angular tray stockers, Konsei’s automated tray changer provides easy to carry features and allows pallet at ease and damage free loading unloading to protect parts from being damaged. Konsei can design and make customized robot grippers to fit the simple to complex application of materinal handling needs. Konsei also has line of standard robot grippers that can offer customer cost benefit of using the stadard grippers. 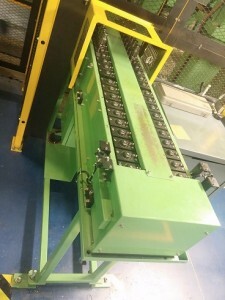 Customized grippers are unique to its application and Konsei has worke on many special aplications that required customized-from-scratch grippers.